Four-time NBA most valuable player LeBron James has agreed to a four-year £116million contract with the Los Angeles Lakers, his agency has announced. 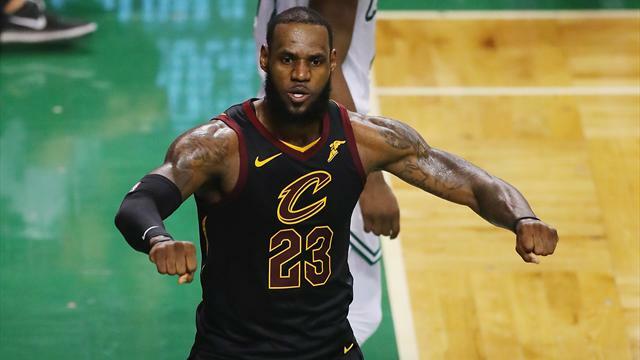 The 33-year-old star forward leaves the Cleveland Cavaliers to join an iconic franchise that has won 16 NBA titles but is rebuilding after posting a losing record for five consecutive seasons. The announcement tweet, from Klutch Sports Group read, "LeBron James, four time NBA MVP, three time NBA finals MVP, fourteen time NBA All Star, and two time Olympic gold medalist has agreed to a four year, $154 million contract with the Los Angeles Lakers."